At 1:20am on June 28th, 1969, police raided the Stonewall Inn, a gay club, in Manhattan’s Greenwich Village. Police raids were typical at the time, but that night, Stonewall’s patrons did not go quietly. They fought back — inside the bar and in the streets. A riot of hundreds of patrons, community members, and neighbors formed. People were imprisoned and the bar was set on fire (eventually doused, and those inside rescued). Riots in the area lasted five more days. The Stonewall Riots served as the catalyst for greater political activism in the LGBTQ+ community than the country had ever seen — along with the founding of gay rights organizations such as GLAAD, the Gay Liberation Front, Human Rights Campaign, and PFLAG. Now every June, we remember and recommit ourselves to the fight for political and human rights for the LGBTQ+ community. To celebrate this month within the tech community, here’s a look at eight amazing LGBTQ+ individuals, both past and present, who’ve made incredible contributions to STEM. In 1983, Dr. Sally Ride became the first American woman in space. 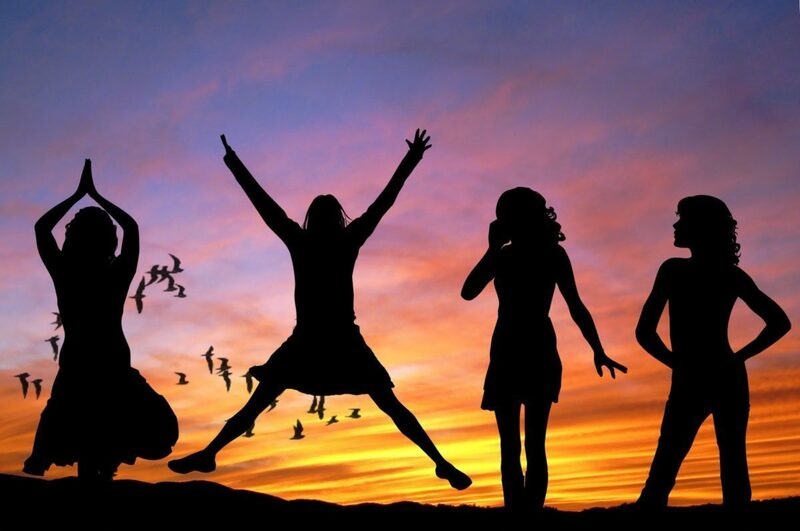 (She initially applied to NASA after seeing an ad seeking women astronauts in Stanford’s school newspaper in 1977!) 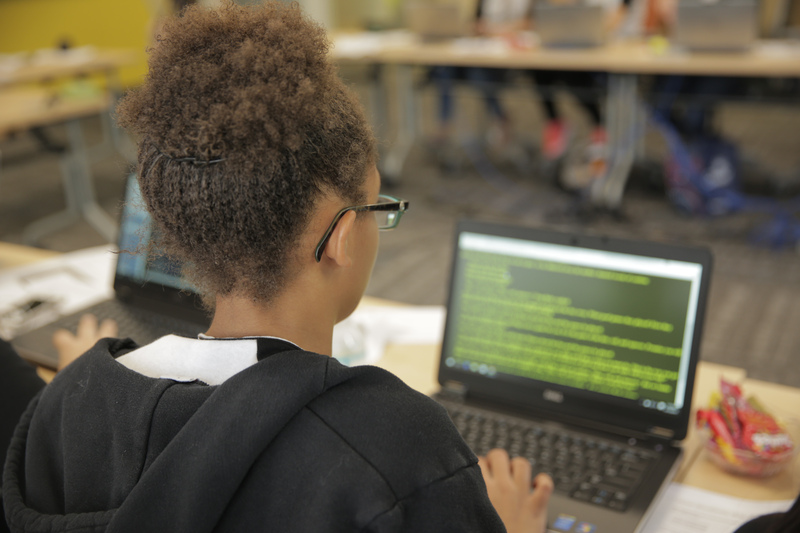 Ride went on to co-found Sally Ride Science in 2001, a nonprofit at the University of California, San Diego — the goal being to get young women interested in STEM. 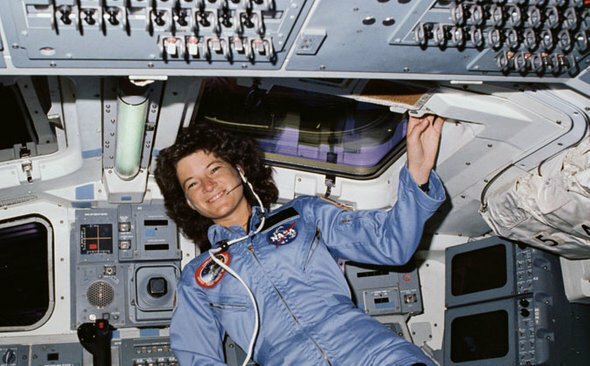 Though her relationship with Tam O’Shaughnessy, one of her Sally Ride Science co-founders, was known to family and friends, it wasn’t until Ride’s death that her sexuality was publicly addressed (in her obituary). 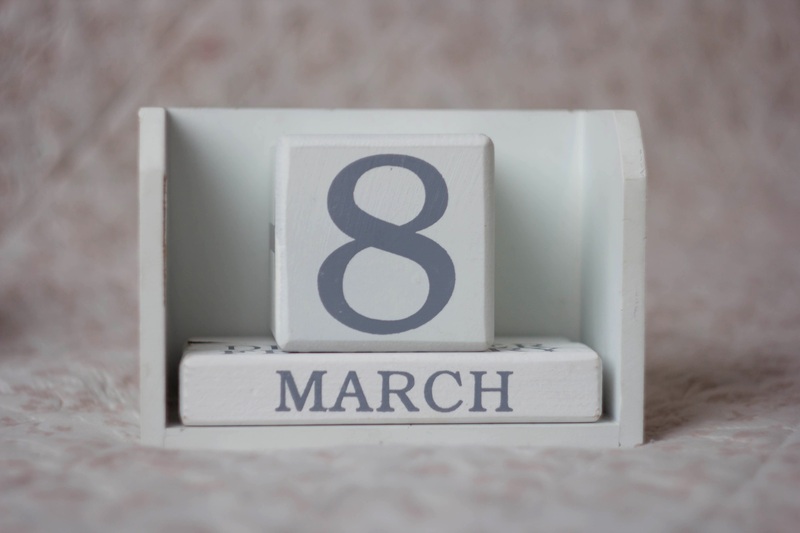 Today, Sally Ride Science has a junior academy, professional development for teachers, online programs through UCTV, an acclaimed book series, and more. Englishman Alan Turing was a logician, mathematician, and cryptographer. He’s credited with breaking the Nazi Enigma code during WWII. In 1939, he designed the Bombe (which was refined by another Cambridge mathematician, Gordon Welchman), an electro-mechanical device used for deciphering German Enigma-machine-encrypted secret messages. The Bombe was used from the summer of 1940 onward, repeatedly breaking messages for the British and ultimately giving the Allies the advantage they needed to win the war in Europe. At just 41, Turing ended his life by eating an apple laced with cyanide, having been outed as gay two years prior and chemically castrated for his crime of “gross indecency.” Having helped shorten the war by an estimated two to four years, historians believe Turing saved 14 million to 21 million lives. As a sophomore in high school, Jack Andraka developed an award-winning pancreatic cancer detection tool at Johns Hopkins University. He says it costs three cents and five minutes to run. Now 21, Andraka is a global health researcher at Stanford, where he researches nanorobots, biosensors, econometrics, public health, and more. 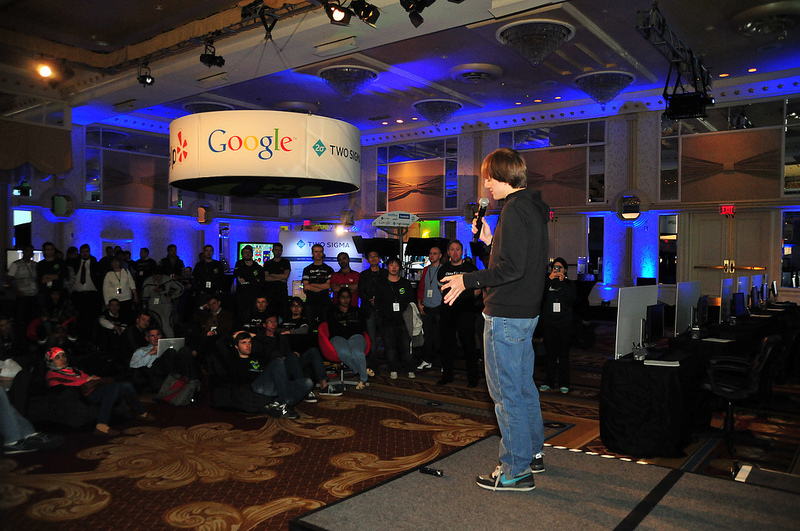 He also spoke at the Topcoder Open in 2013 (pictured above). 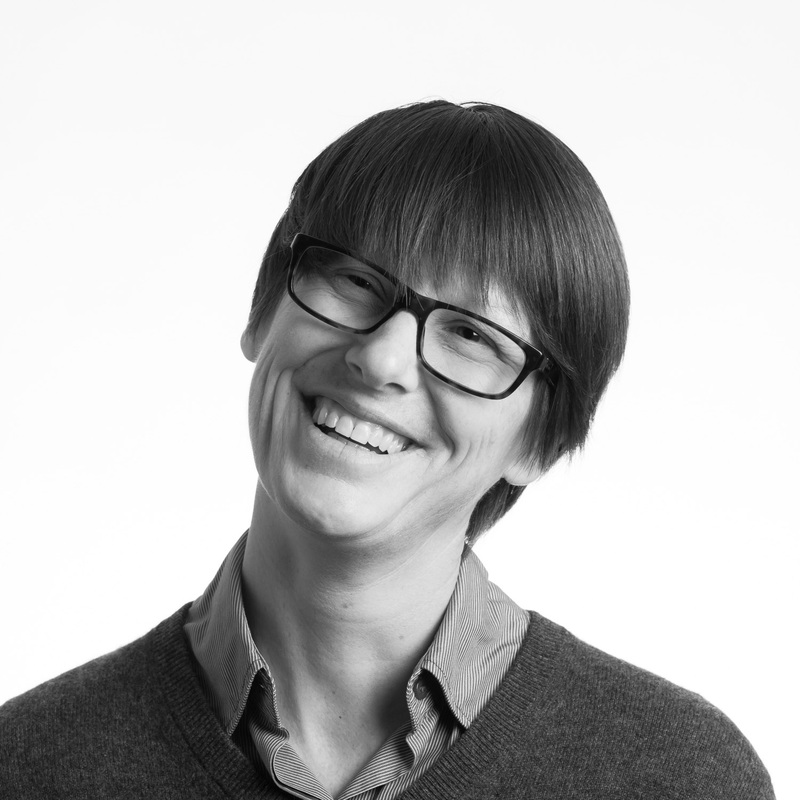 The author of two books and co-editor of another (In Your Face: Stories from the Lives of Queer Youth, Out in the Country: Youth, Media, and Queer Visibility in Rural America, and Queering the Countryside: New Directions in Rural Queer Studies, respectively), queer-identifying Mary Gray is everywhere. She’s currently a Senior Researcher at Microsoft Research, a Fellow at Harvard University’s Berkman Klein Center for Internet and Society, and maintains a faculty position at Indiana University… among other things. Her recent project on “ghost work” (i.e., contract labor such as crowdsourcing and the impact of automation on on-demand economies) with Siddharth Suri drew on findings from their year-long study of the labor exchanged through crowdsourcing platforms. It was as the Department Head of Computer Science at Hartford State Technical College that Jon “maddog” Hall was given his nickname by his students (due to his temper at the time). Currently Chairman of the Board for The Linux Professional Institute, Hall first became involved with Linux in May of 1994. 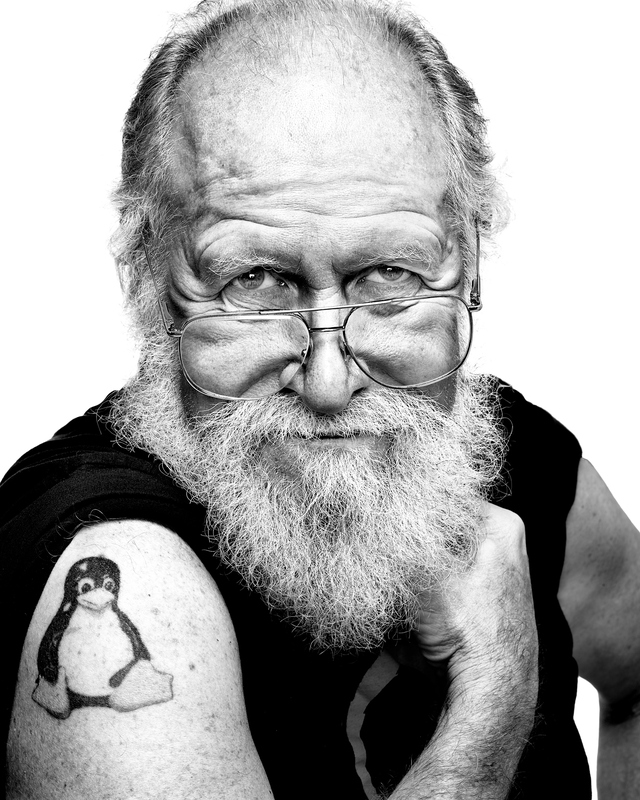 He was (and remains) passionate about free and open source software. He’s an author and programmer who more recently founded the open hardware effort Project Cauā, which aims to help college students better afford an education, assists small businesses in better using their computers, and more. 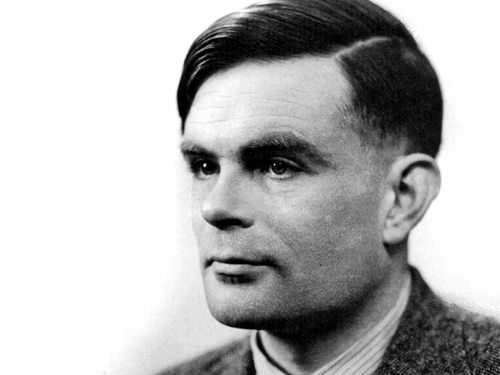 At 61, Hall came out as gay in a blog post in celebration of Alan Turing’s 100th birthday. He wrote: “Now on the anniversary of Alan Turing’s’ birth, I choose to be neither quiet nor invisible any longer.” He’s also a big fan of Star Trek. Not every scientist gets to be in a Werner Herzog film — but Martin Lo did (in Herzog’s The Wild Blue Yonder). 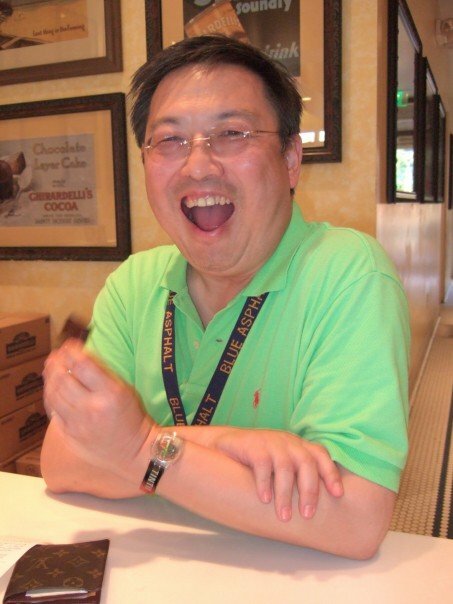 The recipient of a BS in mathematics from the California Institute of Technology and a PhD in mathematics from Cornell University, Lo has been a research scientist in the Navigation and Mission Design Section at NASA’s Jet Propulsion Laboratory (JPL) since 1986. In 2000, Lo led the development of the LTool, a tool used for the 2001 Genesis mission’s trajectory and mission design. Instead of eight weeks, Genesis’s trajectory was calculated in just days, and the LTool was nominated for the Discover Innovation Award by Discover. And in 2012, Lo was awarded Scientist of the Year by the National Organization of Gay and Lesbian Scientists and Technical Professionals. 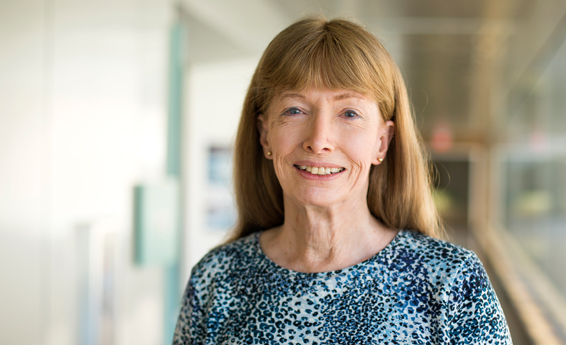 Lynn Conway, born biologically male, invented a groundbreaking method for issuing multiple out-of-order instructions per machine cycle in supercomputers. In the 1960s, she made possible the creation of the first true superscalar computer, and participated in its design at IBM, where she worked for years. That is, until her firing in 1968, when she underwent gender reassignment surgery and transitioned to a female gender role. She went on to rebuild her career from the ground up at Memorex, then Xerox, and beyond. In 1999, she made contact with a researcher looking into her early work at IBM (on “Project Y”) and reclaimed an essential part of her history and accomplishments. When Audrey Tang was just eight years old, she wrote a computer game to help her younger brother learn fractions. She began learning Perl at the age of 12, dropped out of high school, left Taiwan, and by 19 was hailed as an entrepreneur in Silicon Valley. 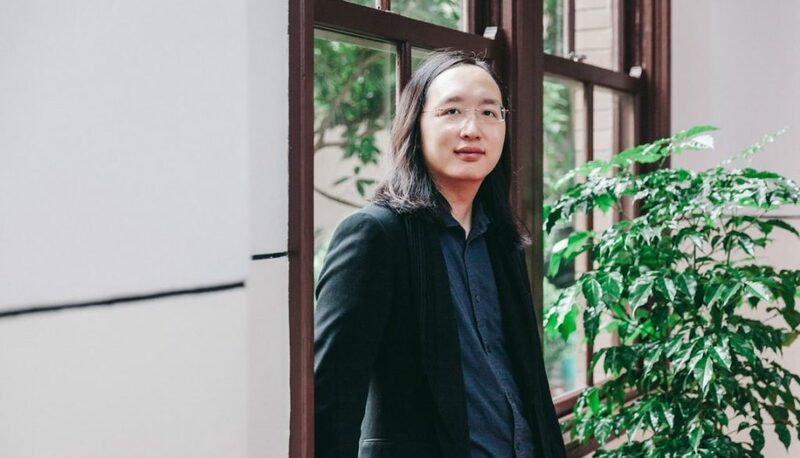 Tang transitioned to a female gender role in 2005, and in 2016 became Taiwan’s youngest government minister — as well as Taiwan’s first transgender Cabinet member. Her ministry has spearheaded the island’s eight-year Digital Nation Plan, which the Cabinet expects to put Taiwan in the world’s top ten for information technology by 2025. 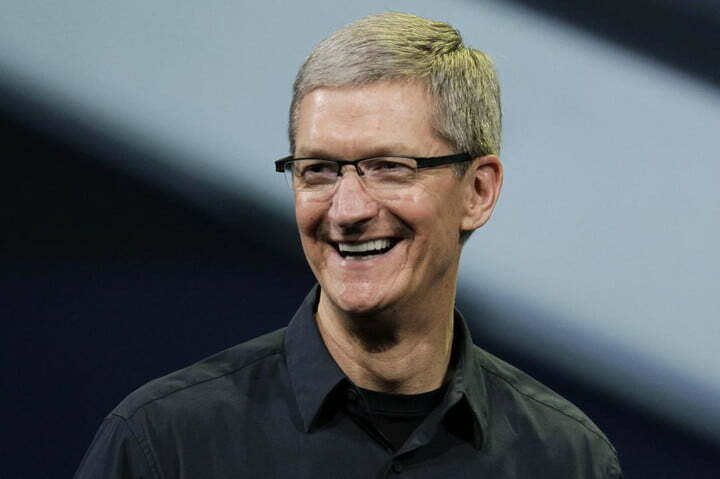 You know Tim Cook. (Chances are you’re reading this on an iPhone, an iPad, a MacBook, etc.) The CEO of Apple received his MBA from Duke University’s Fuqua School of Business, enjoys cycling, and regularly begins sending work emails at — you guessed it — 4:30am. 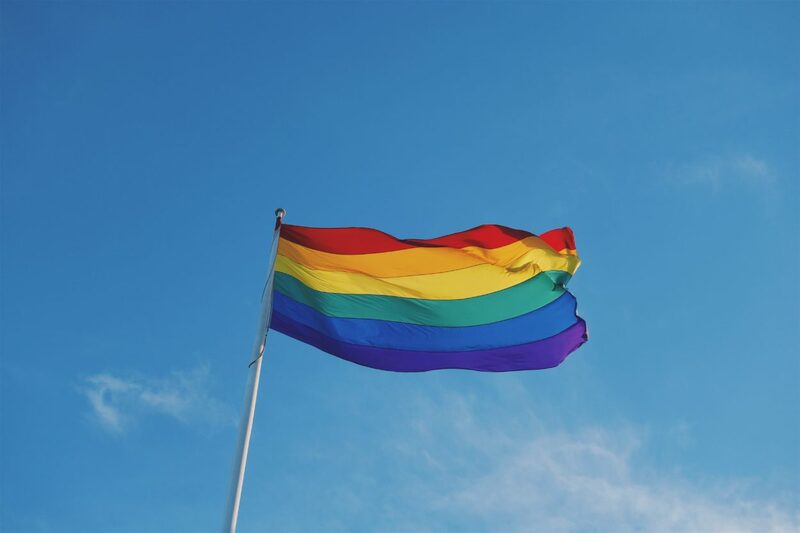 Happy Pride Month to our LGBTQ+ customers, Topcoder Community members, and allies!